State-of-the-art production facilities controlled with know-how developed over the long term ensure permanent continuous development of our quality standard. Thanks to the Kollath method® – a specialist process developed by Prof. Dr. W. Kollath – the full nutritional value of the growth and vitality substances, the vitamins, minerals and trace elements is naturally preserved for a long time in our products. 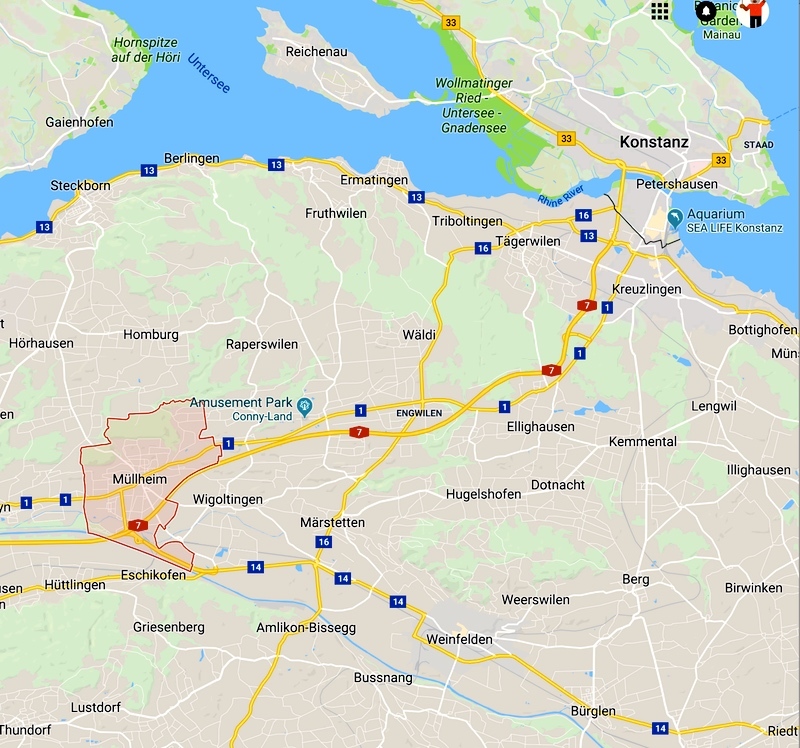 … History: Everything began in Amlikon in a corner of Thurgau [canton in northeast Switzerland] that remains as beautiful today as it was then. In 1892, Heinrich Zwicky took over the Amlikon mill that was at that point around 200 years old and operated it with a water turbine and petrol engine. In 1911 he purchased the former Areal cement factory in Hasli from bankruptcy, in which a customer mill had been operated for 500 years. 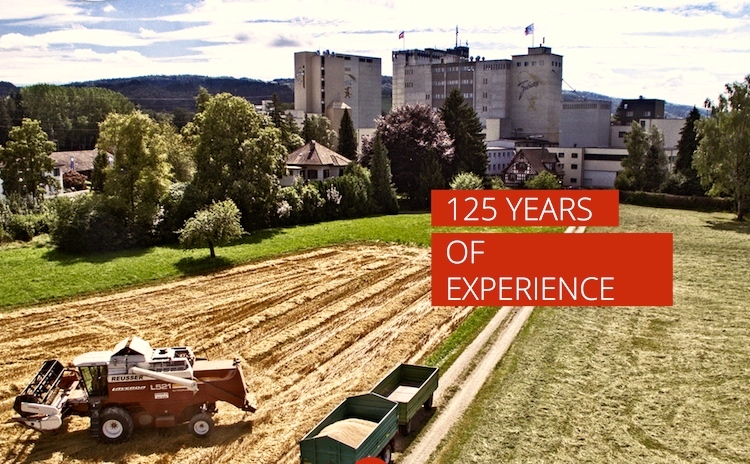 In around 125 years, Schweizerische Schälmühle [‘Swiss hulling-mill’] E. Zwicky AG has developed into the most important special mill of its kind. Our company in Müllheim-Wigoltigen has been family-owned since 1892 and is today in the fourth generation of management. The trademark, the gnome holding an ear of wheat, is a guarantee for high-quality products. 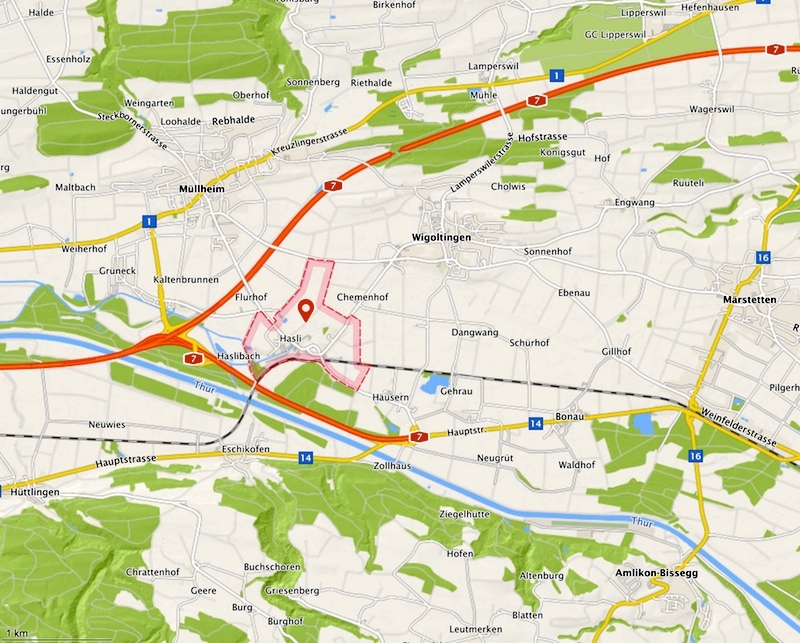 Otherwise, the places on the map are villages, most with a population of under 3,000. In a plain by the lakes — but with mountains in the very near distance. There are always mountains in the background. This entry was posted on June 18, 2018 at 4:53 pm and is filed under Language and food, Logos, Zwickys. You can follow any responses to this entry through the RSS 2.0 feed. You can leave a response, or trackback from your own site.